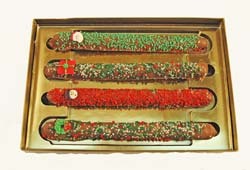 These four decorated chocolate covered pretzel rods make a charming gift -- and are so affordable. Decorated for any season. Make great teachers gifts!